Automotive sales have cooled in China, but the Ford Motor Company still sees much potential for expanded opportunity in the world’s largest consumer market. Today, the automaker announced plans to invest $1.8 billion to bolster research and development in China. The investment comes as Ford seeks a greater share of the lucrative Chinese automotive market led by Volkswagen and General Motors. In recent years, Ford has seen its market share increase even as manufacturers such as Toyota and Honda find the going tough. At present, Ford is in fifth place with Volkswagen, GM, Hyundai and Nissan in front. Ford’s investment will provide funds to push for increased smartphone integration, vehicle autonomy and other so-called “smart car” technologies designed specifically for the Chinese market. In particular, the automaker is eyeing smartphone features that give drivers more control over their car systems by means of mobile chat. Ford’s Sync 3 system will play an important role in that endeavor when it is released next year, building on its current telematics initiative. Ford Chief Executive Mark Fields disclosed the investment at a corporate event in Shanghai. 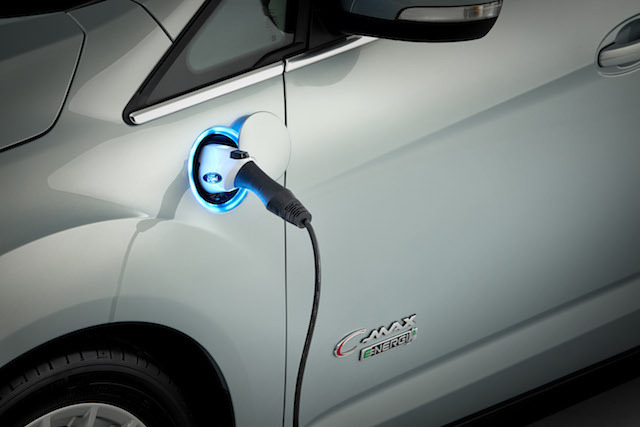 He also declared that Ford will advance vehicle electrification in China by introducing its plug-in hybrid electric vehicle, the C-MAX Energi, as well as its Mondeo conventional hybrid. The Mondeo is sold as the Ford Fusion in North America. “At Ford Motor Company, our goal is to make people’s lives better,” said Mark Fields, president and CEO, Ford Motor Company. “As both a product and mobility company, we are driving innovation in every part of our business. The result here in China will be a positive change for consumers in the way people move, the way they drive, the cities they live in and the communities in which we operate. The Chinese government has been pushing for vehicle electrification in a bid to reduce pollution, but the process has been slow due to a deficient infrastructure. Nevertheless, car manufacturers are responding to the push by introducing hybrids and pure electric vehicles. Another problem besetting China is traffic. Despite just one in 10 consumers owning a vehicle (compared to eight in 10 in the US), the country’s traffic problems are enormous. Indeed, a highly publicized 50-lane traffic jam earlier this month following a week-long National Day break showed just how out of control the problem is with tens of thousands of drivers affected. Although certainly not a manufacturer problem, traffic woes can adversely affect consumer purchase decisions. Ford sells its cars through two partners — Changan Ford Automobile (passenger vehicles) and Jiangling Motors Corporation (commercial vehicles). In August, the last month sales figured were published, the two partners combined to sell 79,608 vehicles, down three percent compared to the same time last year. Ford’s China sales are down one percent year to date through August on just over 700,000 vehicles sold. In comparison, Ford’s US sales were up three percent through August on 1.685 million units sold. Besides the Ford brand, the automaker has been touting its Lincoln marque in China. Lincoln got started in China only last year, introducing its compact MKC crossover and the entry-level MKZ sedan to consumers first. Two additional products, the midsize MKX crossover and the full-size Navigator SUV, are on tap for release this fall. Although Lincoln’s Chinese footprint is small, it is making use of the Internet to reach customers through its virtual “The Lincoln Way” website, what tells the brand’s story to potential customers, especially for those without current access to Lincoln stores. This effort is designed to help educate customers as well as to enable dealers to build their customer base.